Isgec Heavy Engineering has a history of 80 years and is a diversified heavy engineering company with interests in Process Equipment, EPC Power Plants, Boilers, Sugar Plants & Machinery, Mechanical & Hydraulic Presses, Castings, Contract Manufacturing, and Trading. 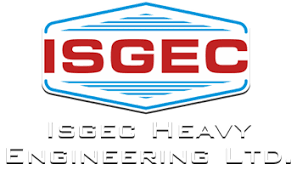 In FY 2011 the company changed its name from Saraswati Industrial Syndicate Ltd. to Isgec Heavy Engineering Ltd. All businesses were consolidated and now marketed under a common brand name - Isgec. For the quarter sales, jumped 59% to Rs 1052.54 crore. OPM fell 140 bps to 6.7%. Thus OP grew 31% to Rs 70.74 crore. Other income grew 41% to Rs 10.61 crore. As interest cost jumped 313% to Rs 6.77 crore and depreciation rose 3% to Rs 16.55 crore, PBT went up 32% to Rs 58.03 crore. Provision for taxation was up 44% to Rs 20.72 crore. Finally, PAT grew 27% to Rs 37.31 crore. For the nine months sales, jumped 54% to Rs 2772.44 crore. OPM fell 30 bps to 6.5%. Thus OP grew 47% to Rs 179.24 crore. Other income fell 53% to Rs 29.55 crore. As interest cost went up 111% to Rs 11.23 crore and depreciation stood at Rs 47.96 crore (against Rs 46.98 crore), PBT went up 14 to Rs 149.60 crore. Provision for taxation was up 34% to Rs 52.54 crore. Finally, PAT grew 5% to Rs 97.06 crore. For the quarter, sales of from the Manufacturing of Machinery Equipment Division fell 9% to Rs 289.85 crore and accounted for 25% of total. PBIT from the same fell 31% to Rs 29.43 crore and accounted for 40% of total. For the quarter, sales from the EPC Division grew 119% to Rs 847.62 crore and accounted for 75% of total. PBIT from the same grew 166% to Rs 40.80 crore and accounted for 56% of total. For the nine months, sales of from the Manufacturing of Machinery Equipment Division grew 18% to Rs 883.47 crore and accounted for 30% of total. PBIT from the same fell 6% to Rs 98.00 crore and accounted for 51% of total. For the nine months, sales from the EPC Division grew 80% to Rs 2094.56 crore and accounted for 70% of total. PBIT from the same grew 108% to Rs 86.62 crore and accounted for 45% of total. The company has been executing contracts to design, engineer, procure, construct, commission and deliver a Bio-Refinery project in the Philippines. There was manifestation of latent conditions leading to cost overrun and delay in completion of the project within the contractual delivery date. The company notified the customer that these risks were to their account under the contract. The customer issued directions to continue with the project and started paying the additional cost to the sub-contractors directly. The project is substantially complete. The customer, on 30th January 2018, however, invoked the Bank Guarantees amounting to about Rs 134 crore and wrongly terminated the contract, and also claimed damages. The legal advice is that the company has good prospect of success in proving its claims against the customer and accordingly no provision has been made in the books of accounts. SIAC has constituted the Arbitral Tribunal. The Arbitration is likely to take about 12-15 months for completion. There is no other change till date. The Board of Directors of the company have declared an interim dividend of Rs 5 per equity share of Rs 10 each , The record date for the purpose of dividend is 20 February 2019. The Board of Directors of the company have declared sub-division of One Equity Share of face value of Rs. 10 each into Ten Equity Shares of face value Re. 1 each. The scrip trades at Rs 5041.